Buddhism is a subject of absorbing interest to student of comparative religions, ethics, history and social philosophy. Its historical foundations have been discussed by Senart, Oldenberg and C.A.F. Rhys Davids. 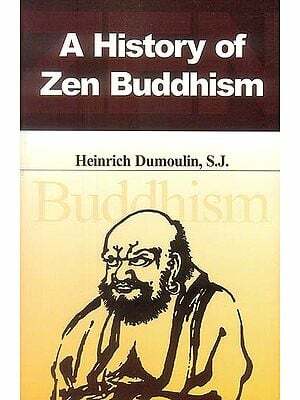 In this book there has been presented not only an objective and scholarly exposition of the teaching and philosophy of early Buddhism but the Vedic roots of its concepts have been demonstrated. The methods of sociology of Religion have also been followed. The section entitled Buddhism and the Social Science (chaps. XV-XIX) constitutes an original contribution to knowledge from the pen of an eminent teacher of political philosophy. Dr. Vishwanath Prasad Varma received his B.A. Honours (1942) and M.A. (1944) degrees in History at the Patna University, obtaining the first position in the first class. He studied Political Science, Social Philosophy and Sociology at the Columbia University in the City of New York (1949-48) and at the University of Chicago (1948-50) and worked with Professors MacIver, Franz Neumann, Leo Strauss, Hans Morgentau and Louis Wirth. Before his departure for advanced studies in Social Sciences in the United States, Dr. V.P. Varma had studied Buddhist philosophy for two years (1945-47) with Dr. D.M. Datta, the great Indian philosopher. He read the Upanishads and Indian philosophy under Acharya Brahmananda and other renowned Pandits. Dr. Verma is a great Vedic scholar. For his book Bharatiya Darshan, he was awarded the Malaviya Prize of the U.P. Government (1969). Dr. Verm is renowned teacher of political theory. He has been teaching this subject for over two decades. He has been the president of the All India Political Science Association (1968). His Rajaniti aur Darshana has received two prizes from the U.P. Government and the Bihar Rashtrabhasa Parishad. His Modern Indian Political Thought is well known classic of political science. The Times Literary Supplement (London) paid eloquent tributes to him as an "exceptionally learned political philosopher."